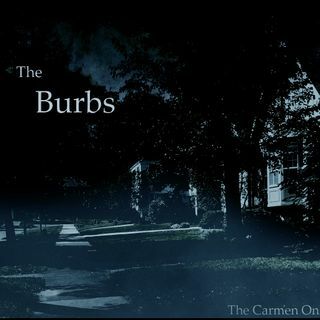 We bring our broadcast year to a close with this episode of The Burbs. Included in this show is also a story, Feast of Feasts, a true tale of Christmas horror, written by Mike Kerins. Narrated by Liane Moonraven. LISTENER DISCRETION IS ADVISED. On behalf of Liane Moonraven, Dahjn Maria Gomez, Siara Tyr, Brad Smith, David Davis, Anthony Webster and the entire cast and crew of The Carmen Online Theater Group, we wish you all a safe and happy holiday season. See you next year! we can chat on FB if you want to George. Crap, forgot the rules of pasting here, but you get it. I have dreaded it for over 30 years. LOL. A new kind of Christmas. This really is superb writing. Still depressed from the election, but getting better thanks. Heh, no worries. I had to get used to posting as Saving Cecil's Pride. I assume this is Liane. With that done, I bid you, all, adieu, good night, and a Merry Christmas to all!!! Didna get the notification. Busy negotiating to release a Danish photojournalist who had been taken hostage by Syrian thugs. I thought they wanted DKK 700,000, not US$700,000. Gut shots are hard to recover from. Listening to the podcast now. I (Sheri's) re-listening to see if I can here what we missed...LOL!! !